If you’re looking for more information about the TREVO MLM nutritional supplement, you’re in the right place! 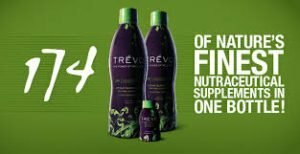 In this post, I am going to share some information about the TREVO drink, and why its one of the best MLM supplements out there!! TREVO LLC is an American health and wellness company founded by Mark A Stevens, and his family. 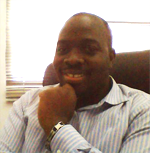 Mark watched his mother suffer from a chronic illness, and this ignited his passion for wellness. He and a few top scientists went all over the globe looking for the BEST natural elements which have the potential to extend life. This discovery lead to the formulation of the TREVO MLM nutritional supplement. Apart from having a POWERFUL product, TREVO LLC has an amazing opportunity and compensation plan. 1. TREVO is a supplement made up of 174 natural ingredients in one bottle. It works at the Cellular level and can plug in the bodies nutritional gaps. 2. TREVO is made up of the following: 13 essential Vitamins, 14 minerals, 24 exotic and garden fruits, Marine Grey Coral Calcium Complex and many others. 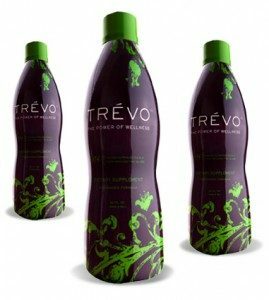 Some of the exotic fruits in TREVO are: Aloe Vera, Mangosteen, etc. You can watch this short 8-minute video below which shows you the FULL component Breakdown for TREVO. 3. TREVO has been tested by Brunswick Laboratory and has an ORAC score of 400,000 per bottle, which is a VERY high score for a supplement. 4. TREVO mlm nutritional supplement is 100 percent Vegetarian, which means it is FREE of every meat, poultry or seafood. 5. TREVO has Kosher, Halal and BSCG (Drug Free) Certifications. 7. TREVO supports immune system health. When you take TREVO, it works on your cells and helps boost your immune system. 8 TREVO drink for weight loss– TREVO supports weight loss management, especially if you eat healthily and replace some of your meals with TREVO. TREVO also helps to cut down on your sugar cravings since it will be giving your body the COMPLETE nutrition it needs. 9. TREVO provides powerful anti-aging benefits and mental focus & cognition and also supports eye health. 10. Another benefit of TREVO is that it supports both women’s health (Fertility included) and Mens health issues and is a very powerful health system in just 1 bottle! Personally, my family and I have been drinking TREVO for 5 years and we have not recorded any side effects, and neither has anyone we know. Its basically a 100% natural solution for the body! You can get TREVO in two ways. 1. You can decide to subscribe as a normal customer and buy online. 2. You could decide to register as an International TREVO life and health coach and earn commissions, as well as get TREVO at a discounted rate. To register as an International TREVO life and health coach, click here. If you have any questions, just email me at [email protected], and I’d be glad to help you out! I hope you got value from this post: 10 things you need to know about the TREVO mlm nutritional supplement. Have you used TREVO before? PS: If you have more questions about TREVO, do not forget to read my TREVO review!